Did the majority of the 18K service at the weekend. I cheated a little as removed the fork legs and got a suspension oil changed by someone else. I also have not done the valve clearance and timing check yet. I will do them as soon as I get decent price source for the tools. There is a lot of bodywork to take off but all in all not too difficult at all. I suspect it might be a little bit tight when I come to take rocker cover off to do the valve clearences. I used the motoscan tool to reset the service interval. 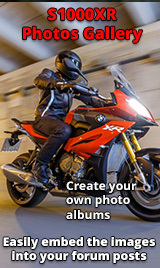 What did you use to connect to the bike to get a signal from Motoscan? And what year is your bike, does it have the OBD II port? Hi I used ODBLink MX bluetooth module and an adaptor cable from ebay. Its a 2015 bike so the round connector. 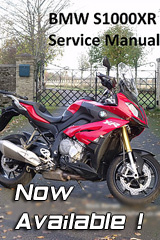 Also doing it your self turns a £700 service into a £300 service even if you get BMW to change the oil in the fork legs. Being new to the S series engines I'm wondering why they need the cam timing checking if the cams are chain driven and (presumably) have a tensioner? I did contemplating changing bikes but I do a fair few miles decided I kind of like being in charge of my own destiny working on it. Taking it to the dealer to do an oil change is a pain in the arse and generally time off work. Changing the oil myself at my leisure. I will run it for another couple of years then its basically earned its money. The service schedule says the cam timing needs to be checked/adjusted to to wear in the cam chain/sprockets. The same tool set is also used to set the cam timing if you actually need to change the valve clearances.